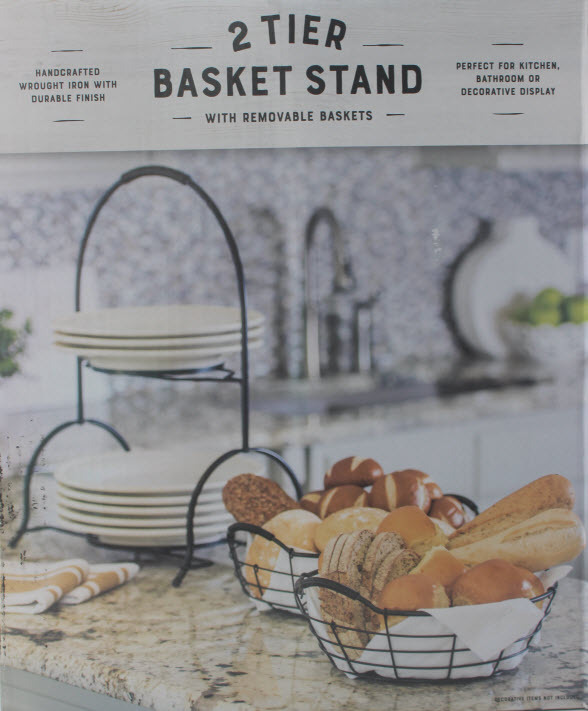 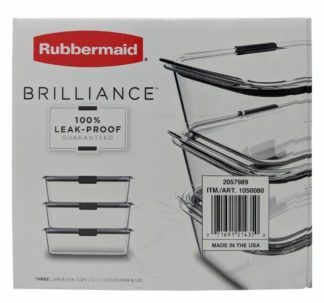 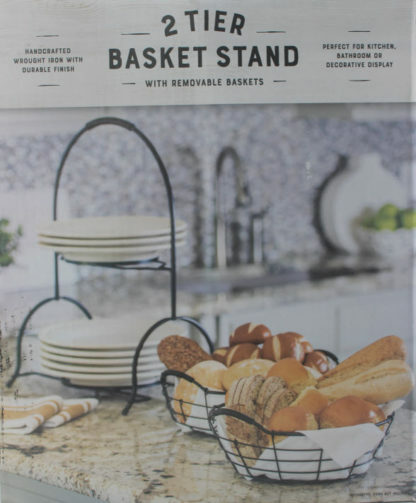 The Two-Tier Basket Stand is ideal for keeping counters free of clutter, and also functions as a plate holder while serving. 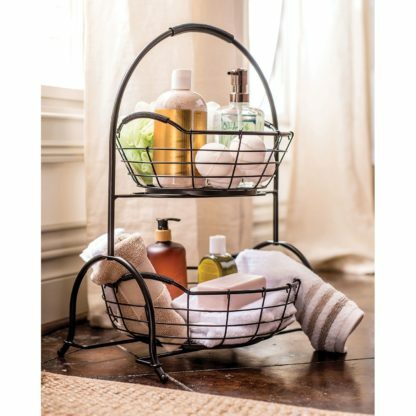 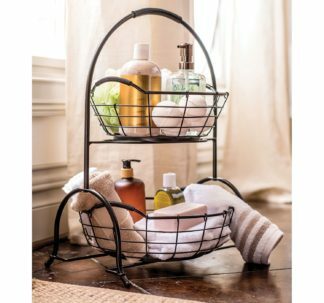 The removable baskets can be filled with everything from produce to soaps and washcloths to craft supplies. 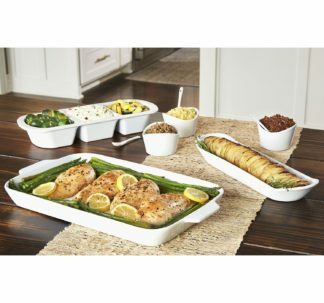 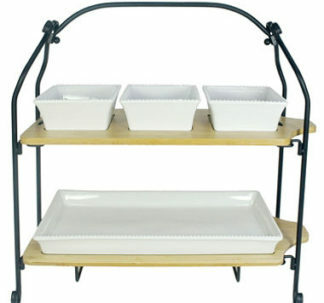 The baskets are removable so the stand can double as a two-tier plate stand for hosting.